Meet Our 2019 Mini Meteorologists! 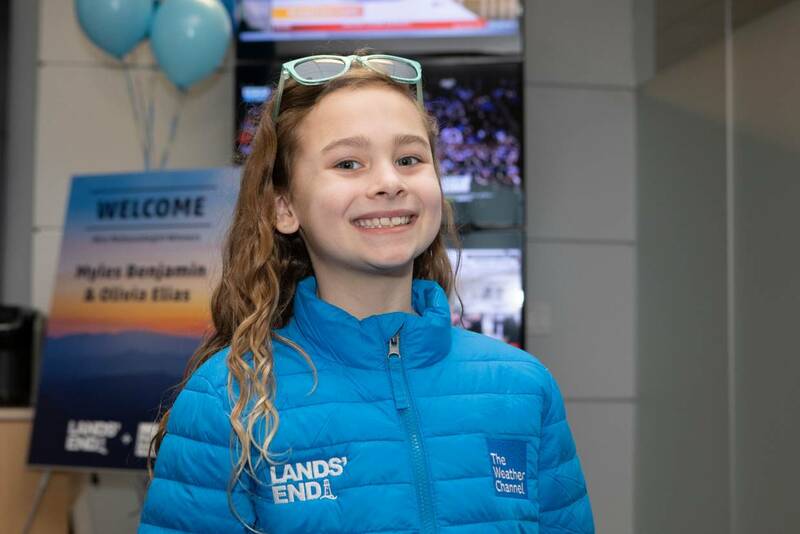 The Weather Channel and Lands’ End partnered together to search the country for the next mini meteorologists! From coast to coast, kids ages 6 to 16 submitted essays and videos explaining why they deserved to be the next “mini met”. The grand prize of the contest was a day spent at The Weather Channel with our meteorologists, experiencing the magic of TWC behind-the-scenes and filming a forecast of their own! Meet the four lucky winners below and watch their TV debuts tomorrow morning on AMHQ Weekend! How did you feel when you found out you won the mini meteorologist competition? I felt like I had won the lottery. I knew something was up because my mom was recording me. When I read that I was a winner I was I really excited. It was too good to be true. Why did you want to win? I was just hoping to win to take a tour of TWC, to see backstage at how they operated. After I was notified and learned about everything else I won I was floored! Ok, don’t call me crazy but my favorite kind of weather is stormy and rainy, like during hurricane season. Was there one weather event that made you want to be a meteorologist? Yes, during a family vacation in Florida we experienced a really bad storm, like a microburst. One minute we were having fun and it was sunny then all of a sudden the storm happened. It was scary and exciting at the same time! What are you most looking forward to doing when you get to The Weather Channel? Of course seeing the studio, equipment and behind the scenes but also meeting the meteorologists. I just want to see where all the action happens and learn as much as I can. I can’t wait! I was super happy and excited. I found out in my class with all my friends around and they all started hugging me so I was really happy. I love weather. I have been making meteorology videos for a couple of years now and this is a dream come true for me. I like big storms like hurricanes, tornadoes, twisters. I have watched a lot of bad storms on the TV. I want to help people be able to better predict storms to help save lives when storms hit. I can’t wait to meet all the famous meteorologists I have been watching. I want to hug them and thank them for letting me come! I was insanely excited! I couldn’t believe that I won the opportunity to go meet the people that I look up to. I have dreamed of being on The Weather Channel since I was 7 or 8 years old and my dream is going to come true. 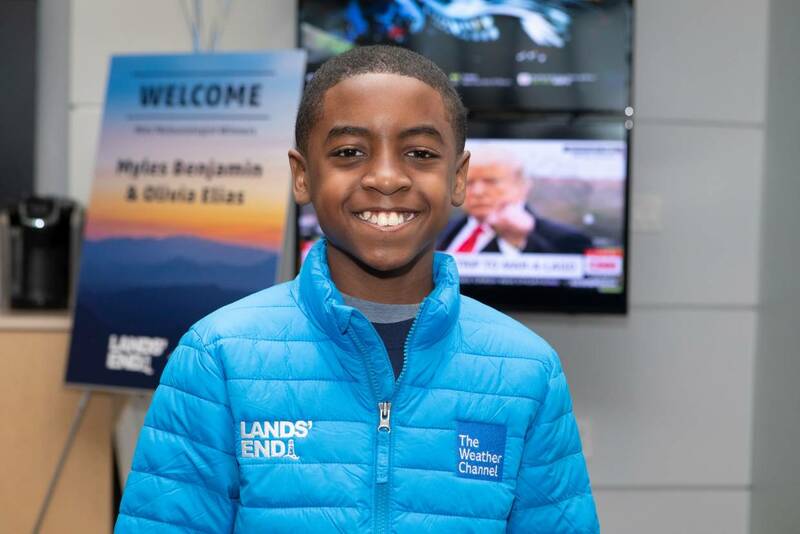 I wanted to win because since I was 7 or 8 years old, I have always wanted to visit The Weather Channel headquarters and be able to give the weather on national television. My favorite kind of weather is tornadoes. They are what sparked my interest in meteorology and I still love them and want to learn more about them today. Yes, what initially sparked my interest in meteorology was watching and learning about the Joplin Missouri tornado on The Weather Channel on May 22, 2011. I am looking forward to the entire experience while I’m there. I can’t wait to meet many of the meteorologist that I’ve admired and watched for years. I am excited for the tour so I can see firsthand how it all happens. I am especially thrilled that I will get to broadcast the weather. It is has been my dream job for as long as I can remember and I can’t believe I’ll get the chance to do it at age 14!! When I got the news that I was selected, I felt like my dream was becoming a reality and all my hard work has led to something that I did not even think I could even imagine and I am so thankful for all my support! I wanted to win so I could show the world how much I care about my future in meteorology and how much all of this means to me. I have put so much time in trying to become the best son and mini meteorologist I can and that’s exactly what I did! My favorite kind of weather is Hurricanes and Tornadoes. I love chasing hurricanes during hurricane season and love finding tornado rotation on a weather radar! When I was young, my parents and I were traveling over ta bridge in Charleston while in an EF1 tornado was in our sight. Hearing this story from my parents later, caught my curiosity! Once I started studying tornadoes, it brought me to loving weather so much and have a passion for learning more!! 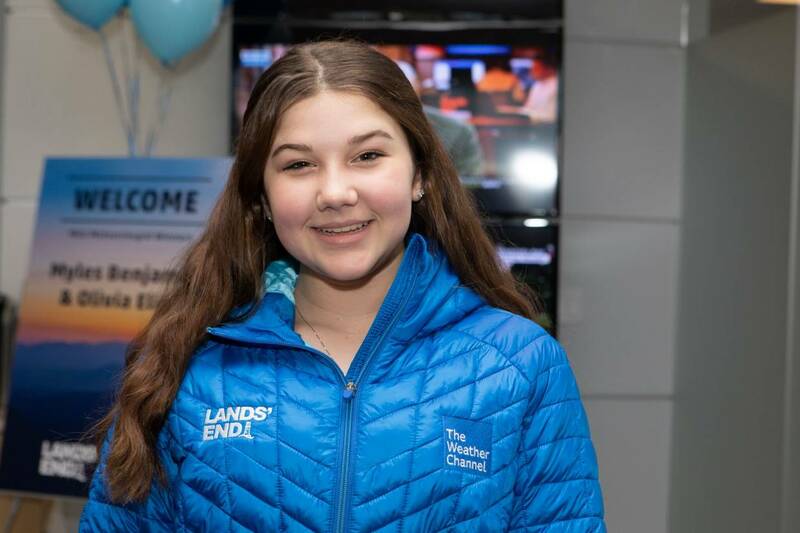 What I am looking forward to at The Weather Channel is getting the opportunity to meet my fellow mini meteorologists and learning from them especially learning from the other meteorologists like Jim Cantore, Stephanie Abrams and Jen Carfagno. 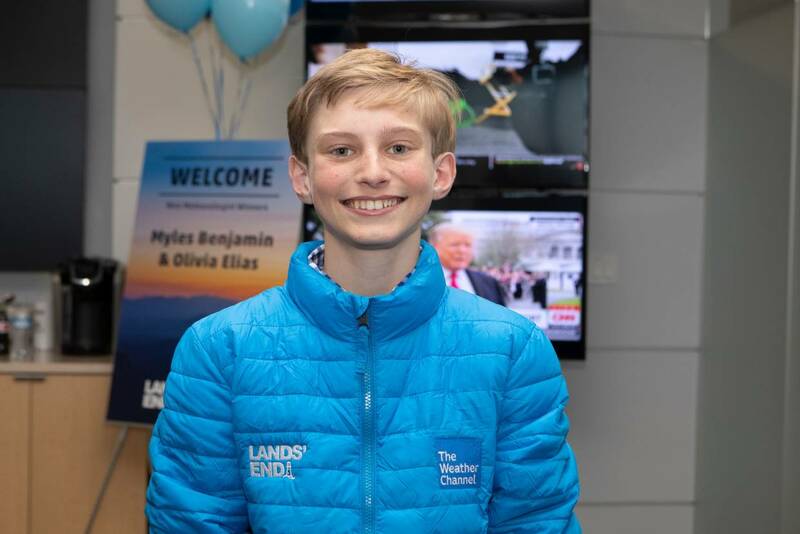 I could not be any more thankful than I am to have this amazing opportunity from Lands’ End and The Weather Channel!!!!! I sure wish I had won. I’m 16 and can’t compete anymore.